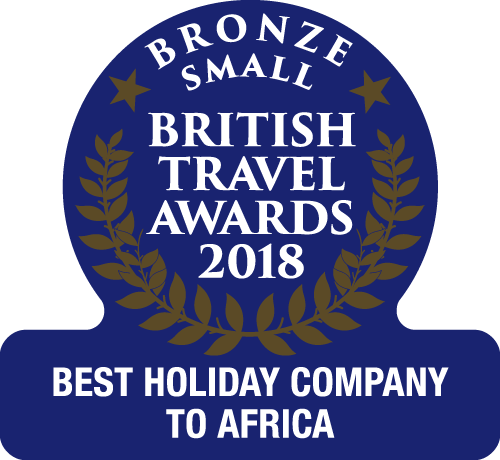 The Gambia has many appeals as a Christmas or New Year break ~ unbeatable winter sun (December average of 31 degrees), uncrowded beaches, warmth of welcome from the English-speaking locals, and a vibrant culture. Plus, all of the below packages include a complimentary Christmas Eve and / or New Year’s Eve gala dinner if travel coincides with those dates. The Gambia Experience is offering 7 nights at the 5 grade Kairaba Hotel from £1129 per person, valid for 20 December departure and resulting in a saving of £278pp from brochure price. This offer is based on two sharing an air-conditioned deluxe room with breakfast and includes return flights from London Gatwick – Banjul (Monarch Airlines), taxes and transfers. The Kairaba Hotel has many appeals including its close proximity to the restaurants and bars of the vibrant resort of Kololi. However the hotel’s spacious grounds, offering an abundance of private hideaways, guarantee peace and relaxation. The Gambia Experience is offering 7 nights at the 4 grade Sheraton Gambia Hotel from £1199 per person, valid for 24 December departure and resulting in a saving of £321pp from brochure price. This price is based on two sharing an air-conditioned standard baobab room on an all-inclusive basis and includes return flights from London Gatwick – Banjul (Monarch Airlines), taxes and transfers. Built into the hillside and nestled between giant baobab trees, the beachfront Sheraton Gambia Hotel has established itself as a popular all-inclusive hotel in The Gambia. Facilities include an infinity swimming pool, spa and fitness room. The Gambia Experience is offering 14 nights at the 4 grade Ocean Bay Hotel from £1399 per person, valid for 24 December departure and resulting in a saving of £224pp from brochure price. This price is based on two sharing an air-conditioned deluxe room with breakfast and includes return flights from London Gatwick – Banjul (Monarch Airlines), taxes and transfers. Set within beautiful gardens and located next to Cape Point Beach, the focal point of the Ocean Bay Hotel is the large swimming pool. Sampling the hotel’s homemade lemongrass tea is a must. The Gambia Experience is offering 7 nights at the 3.5 grade Kombo Beach Hotel – a popular vibrant hotel with good facilities, excellent cuisine and beachfront setting in Kotu – from £849pp, valid for 20 December departure and resulting in a saving of £279pp from brochure price. This price is based on two sharing a standard air-conditioned room with breakfast - and includes return flights from London Gatwick – Banjul (Monarch Airlines), taxes and transfers. The Kombo Beach hotel has earned a Travelife Award for its commitment to Sustainable Tourism. The hotel embraces Christmas with a varied daytime and evening themed entertainment programme. The Gambia Experience is offering 11 nights at the 2 grade African Village Hotel in Bakau from £899pp, valid for 20 December departure and resulting in a saving of £100pp from brochure price. This price is based on two sharing an African room with breakfast - and includes return flights from London Gatwick – Banjul (Monarch Airlines), taxes and transfers. An authentic African experience attracts many repeat guests to this small and friendly hotel situated in the bustling town of Bakau.